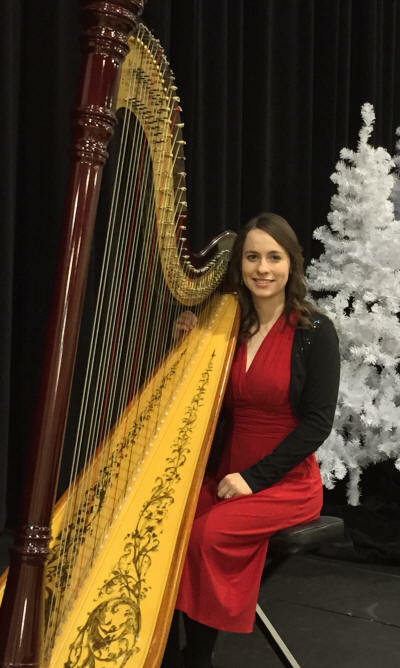 Lydia Haywood is a full-time professional harpist located in Columbus, Ohio and has been performing for special events since December 1999. She has the expertise and experience to add an elegant touch to your special day. Lydia has performed well over 800 times playing the harp in Columbus and the surrounding areas and has recorded 3 CDs of her beautiful music. In addition to performing, she also enjoys teaching harp and piano lessons. Lydia is available to play for your wedding, reception, dinner, party, open house, tea, or other special event. She would love to work with you and help make your event extra special. Contact Lydia today!